Web Wednesday : Fund raising via Twitter works! At 11:10 pm last night, I used my mobile phone to post a fund-raising plea on Web Wednesday's Twitter channel to cover the cost of Tom Stader's flight from Xian to Hong Kong, who's flying down here on behalf of his charity, The Library Project. Within 30 minutes, I'd received a sponsorship confirmation via SMS! OK, so the sum is not large - under HK$3,000 - but it worked! And the generous sponsor? None other than Marcel Ekkel, who runs his own project management consultancy, SynergySynQ. Marcel deserves a little plug for his growing business which he describes as, "SynergySynQ synqronizes strategy and execution via consultancy, training and people in the field of project, portfolio and program management". 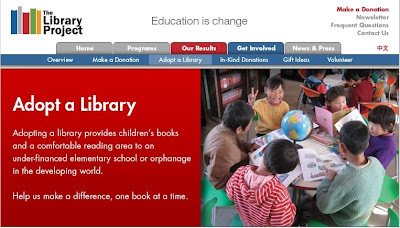 And his giving doesn't stop there, apparently Marcel is also planning to "Adopt a Library". Your'e a star, Marcel! Let's hope tomorrow's Web Wednesday event draws more of you generous givers out of the digital woodwork! Awesome! Well done Marcel! Well done Napoleon! Hooray for Twitter!